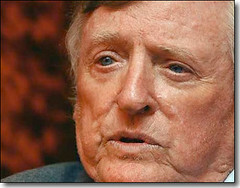 When I heard about the passing of renown conservative William F. Buckley, Jr. on February 27th 2008, I started to reminisce about the impact he had on my life. I am able to put a finger on a few people who have played a significant role in developing my personality, my interests, my views and philosophies — some that I subconsciously emulate. (If not for Buckley, I doubt my blog would be called Desultory?) My parents of course were influential, my grandfather (namesake) who died before I was 10, a singer/songwriter and sailor (JB) encouraged my socially conscientious, a youth pastor (MK) who taught me to sail as a teenager and helped instill my faith and values … and William F. Buckley, Jr. Let me explain. 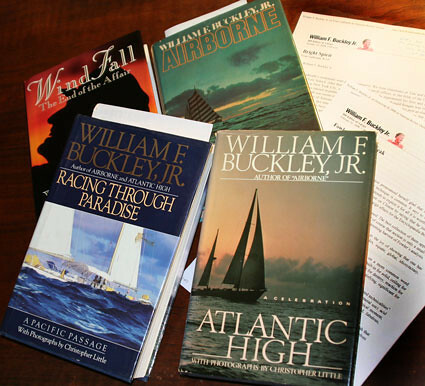 I learned of Buckley in 1976 while in high school through my passion for sailing by thoroughly enjoying his book Airborne. I was struggling to understand politics and where I fit into the rebellious youth movement that was happening all around me. I was sort of a “faux-rebel” … attempting to fit in while keeping my feet firmly planted in traditional, small town, America. Remember, it was the 1970s and our country was quite splintered. I, and many of my friends, found it challenging to figure out where we fit in after Vietnam, Watergate, the Oil Crisis and the rise of a radical Islamic movement Iran. (dÃ©jÃ vu) I found both escape and a helpful political footing from WFB while reading about his sailing adventure. He was my first exposure to conservative ideals and it has remained part of me ever since. I began absorbing his conservative politics while in college and by the time Atlantic High was published 1982 my course was set. I was regularly reading WFB’s non-nautical writings and applying them to how I saw the world. I “attempted” to listen to his discourse whenever I could — one only has to listen too Buckley to understand what I mean by “attempted” — and easily found myself part of the Reagan revolution. Buckley’s ‘thinking’ contributed to my independent entrepreneurial spirit and desire to forge my own company in 1986. He triggered my desire to campaign for Reagan and I’ve been a solid supporter of conservative Republican principles ever since. As mentioned, WFB influenced me outside of politics too. 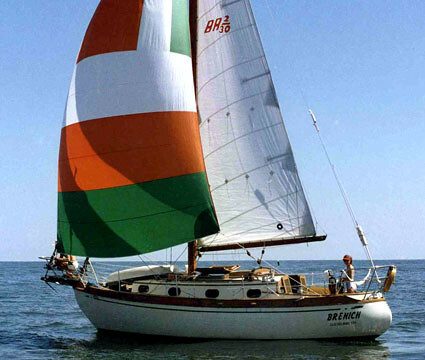 He inspired my wife and I to buy our first sailboat Brenich early in life; we spent our summers living and cruising within appropriate distances from work — I wouldn’t trade these pre-kid memories for anything. (summer 1985 below). 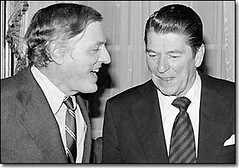 In reading “Remembering WFB” entries over at the National Review, Buckley will be missed by many, including me, yet I am grateful to his contribution to conservative politics and for his guidance in forming my political ideology. His passing has triggered me to pull his books off the shelf and evaluation my life and my dreams just a bit. I started by re-reading the third in the series of sailing books last night called Racing Through Paradise, A Pacific Passage and the reminiscing felt good. No regrets in my life, but as I approach middle-age (most say I’m past it), I do need a kick start so as not to slip into mediocrity. 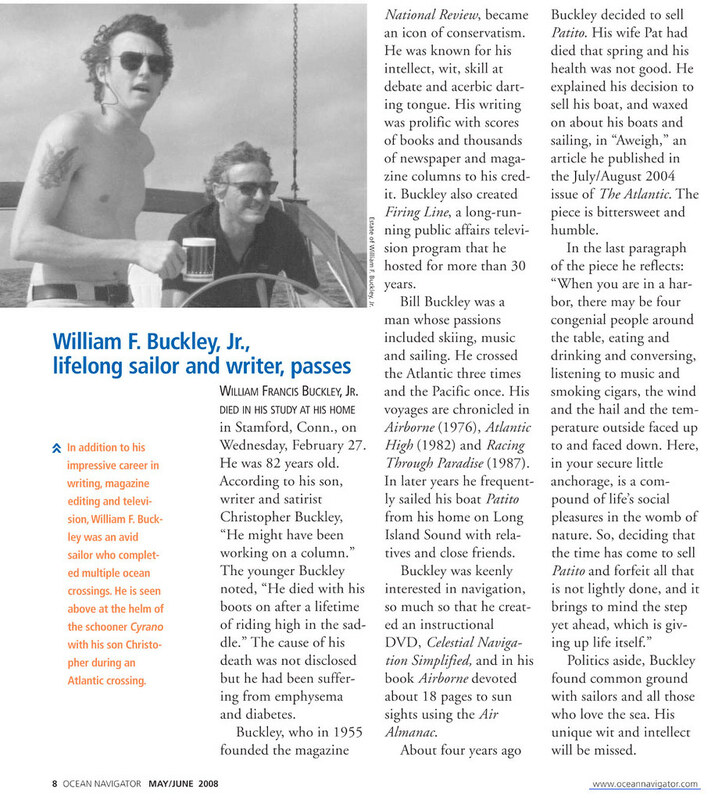 I enjoyed seeing an article in Ocean Navigator that spanned a full page mentioning William F. Buckley, his sailing and contribution to the publishing world which included books, magazine and television. Here’s a larger ‘page’ image of the article that appeared in the May/June 2008 issue.